Perhaps the most familiar summer squash. Ideally picked young & tender before the seedy center has developed, it can easily be chopped & sautéed to be included in numerous recipes. However, it can also be chopped into sticks eaten fresh, grilled, or even breaded & fried. Often zucchini hide under the large leaves of a plant (or if you try to go away for a quick vacation) & if they don’t get picked can get quite large in just a couple days. These large zucchini with seedy centers are great for a Stuffed Zucchini recipe, where you remove the seedy centers, or shredding to bake into a bread or other baked goods (see Zucchini Brownies). 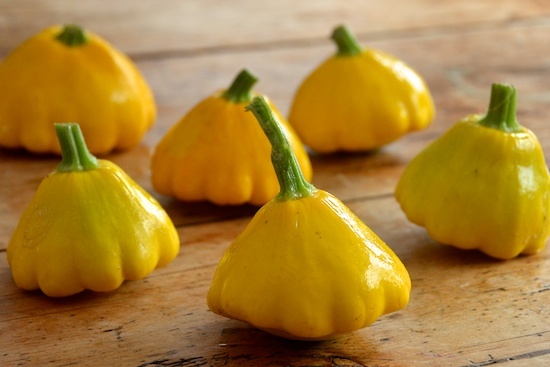 Patty Pan Squash These are a chef’s favorite summer squash. They are great in soups or classic Italian pasta sauces. They get seedy centers very rapidly & are ideal picked a bit green and no bigger than a baseball. They can be sliced & cooked just like zucchinis. These are the same fruit as dark green zucchini, so they have the same cook time & can be used to replace other yellow summer squashes (that have a longer cook time) to add color into your summer dishes. 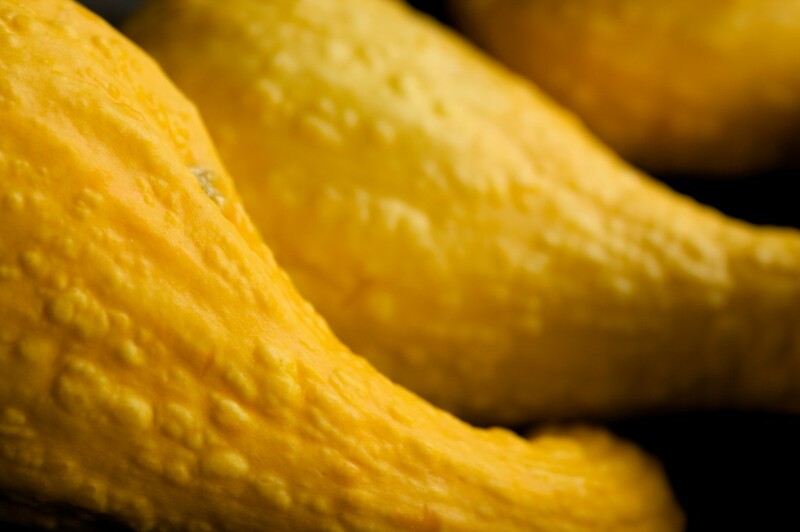 Yellow Crook-Necked Squash This is a Pennsylvania Dutch heirloom variety that we grow. As mentioned these are a bit meatier & take a bit more time to cook, as well as having a tougher skin that you may want to remove before cooking. If fruit develop during times where water is scarce (like this summer) they develop a sweeter taste, but also a warty skin that you would definitely want to remove before cooking. Make sure to check out the featured recipes to see some more of our favorite summer squash recipes & enjoy their mid-summer bounty!